This is how it can work. For all the attempts to combine jazz and classical elements in a piece of music, few have even begun to succeed. The most common fault is that the classical dimension is static and subservient to the fluid improvising one. Of course that can be valid and effective, but this album shows how much more open and integrated the music can be. The first four pieces are free improvisations in which the members of NZTrio – violinist Justine Cormack, cellist Ashley Brown and pianist Sarah Watkins – engage on something like an equal footing with Mike Nock (piano, electric piano, synthesizer), bassist Brett Hirst and drummer James Waples. 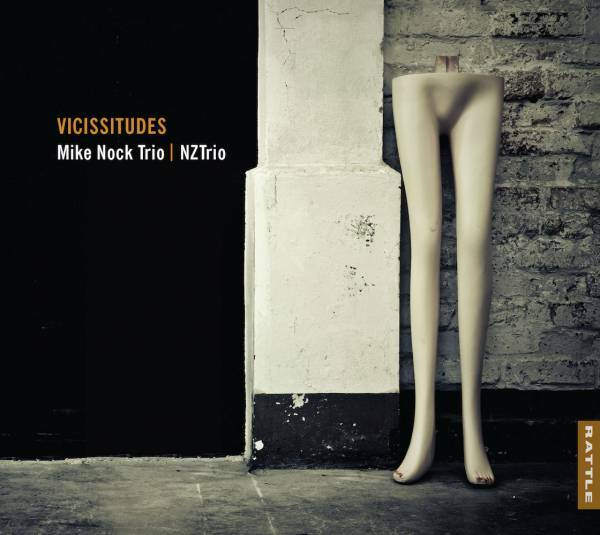 Inevitably these improvisations colour the way one then hears the album’s centrepiece, Vicissitudes, a six-part suite composed by Nock for the people of Christchurch (the city of his birth) in the wake of the devastating earthquake. The suite takes the form of a theme (stated by solo piano) and variations, implicit in which are varying uses of the classical trio, and varying amounts of notation and improvisation. At the work’s heart is an evolution from post-apocalyptic eeriness to a more lyrical, elegiac and impressionistic world, and then a subtle strengthening that lies somewhere between stoicism and optimism. All the while the classical trio flits and swirls through Nock’s supple band as organically as leaves falling from a tree. The final piece, the traditional El Testamen Da Amelia, Nock plays alone, and this is worth the price of admission all by itself.